Choose to move to the BEAUTIFUL mountains of Western North Carolina, Choose to live a healthy LIFESTYLE, Choose Fantastic ASHEVILLE. 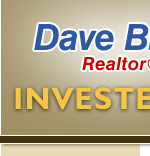 The Investec Realty team is Asheville-based and is operated by David E. Bluth, ABR, MBA. I personally manage all real estate transactions therefore I am dedicated to providing the highest level of customer service, ethical approaches and professional services. Having lived in Asheville for over 15 years, I have a love and admiration for Asheville and are committed to ensuring clients have an amazing real estate experience. My goal is to ensure clients "Live the Life they love, and Love the life they live". Asheville provides a great opportunity for reaching these goals. I am very passionate about the Real Estate Industry and assisting clients make the best choices possible when buying, selling or managing their real estate investments. I bring a unique approach to Real Estate utilizing my MBA and business analysis background. This understanding has taught me how to provide the highest level of customer service while incorporating a thorough understanding of market dynamics. I am a skilled negotiator and take great pleasure in building a dynamic, long-term relationship with clients based on trust, integrity and ethical approaches. √ I am the owner of a full-service boutique real estate firm, which is dedicated to providing the highest level of customer service. √ 100% of my energy goes into each client relationship. no-more than 5 clients at a time. years and have been in the Real Estate business for over 10 years. analysis to ensure the quality of the real estate process is maximized. profession as my sole livelihood. I am not a "part-timer!" Investec Realty and David Bluth believe that any piece of Real Estate should be considered an investment, whether an owner occupied purchase or cash-flowing property. We utilize the most innovative technology and financial anaylsis techniques to ensure your investment is a solid one. We are a small, personalized, innovative firm specializing in niche markets across a wide portion of western North Carolina. Our focus on select properties enables us to cover a broad geographic territory. We not only concentrate on the residential sector, but assist in commercial leasing, sales, and vacation rentals. In addition, the firm offers a full-time broker with an MBA, which ensures a sales process with someone who truly understands the investment potential and can clearly quantify financial expectations. Licensed in North Carolina, Investec Realty agency maintains offices in Asheville and Black Mountain, NC. For more information on Investec's uncommon brokerage, feel free to contact us by email or by phone at 828.273.3349.